Good sleep habits are of utmost importance. Most people associate the word hygiene with cleanliness. In common usage, the two words seem interchangeable. It seems strange then, to talk about sleep hygiene. What is that? Are there special ways of cleaning up before we go to sleep? However, hygiene means much more than just how, or how much, you keep clean. It’s a set of behaviors that are associated with health. After all, dental hygiene is much more than just brushing and flossing. All species have periods of rest and activity. Some secrete the same sleep-inducing hormones produced by mammals. Zebra-fish are examples. Sleep hygiene is the sum total of behavioral and environmental factors which are linked to your sleep. These are a set of simple and common sense based guidelines that can help you to get the most restful, effective sleep you can. The right kind of behavior and preparation can also help you avoid many common kinds of sleep disorders. Bad sleep hygiene can cause and worsen common sleep problems and are among the major factors in exacerbating issues like depression and other mental and emotional problems. Have a fixed bedtime and wake-up time if possible. If bedtime is a flexible concept, you cannot take advantage of the body's habit of falling asleep at a certain time each night. 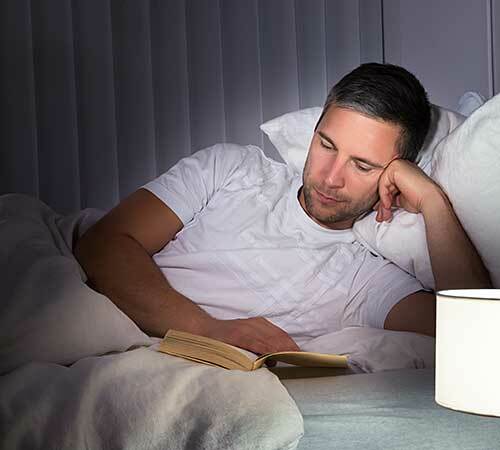 Whether you are a student, retired, not working, or employed, a fixed bedtime and a wake-up time are essential parts of good sleep hygiene and necessary for a good night's sleep. Don’t go to bed hungry, but don’t stuff yourself just before bedtime either. The best idea is to have an early dinner, and then a light snack before bed, such as warm milk or bananas. Don’t drink any alcohol for 4-6 hours before bedtime. Although a strong drink can have an immediate sleep-inducing effect it ruins deep sleep a few hours later when the blood alcohol levels drop. Caffeine after lunch, or within six hours of bedtime, is a bad idea. Coffee, tea, colas and chocolate, are best reserved for the first half of the day. Food wise, avoid heavy, spicy, or extra sugary foods in the afternoon and evening. Don’t smoke just before, or in, bed. Nicotine will keep you awake, it’s a stimulant. Have a fixed pre-sleep ritual which relaxes but does not over-stimulate. Try a warm bath or read something pleasant and not too taxing. Don’t nap throughout the day. Even though 3 pm on a summer day may seem like a cozy, sleepy time, don’t nap for more than 30-45 minutes, if at all. Don’t exercise right before bedtime. Regular exercise is good for you, but strenuous exercise up to six hours before bed can keep you awake. Exercise on a regular basis, earlier, and not in the afternoon or evening. Make sure you sleep in comfort. This is the most important and often ignored part of sleep hygiene. Your sleep atmosphere is very important for the full refreshing eight hours. Make sure the bedding is comfortable, choose a comfortable temperature to sleep in, and make sure the room is well ventilated. Draw heavy blinds to block out distracting noises as well as excess light. Cool, dark, and quiet places are most conducive to restful sleep. It is also a good idea to use the bed only as a place to sleep in, and not as a table, office, workbench and study. Avoid reading, writing, eating, watching TV, working, or studying on the bed during the day. Program your body to know that the bed is a place for sleep. Try relaxation techniques like yoga, guided imagery, or deep breathing exercises before going to bed. They can help to reduce stress, and relax muscles, putting you in a better position to fall asleep. If you wake up at night, and can't seem to fall back asleep, don’t try. Staying in bed worrying will only drive sleep away further. Get out of bed and do something else to distract and relax yourself. Go back to bed only when you are sleepy again.